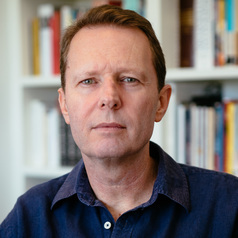 DAVID McCOOEY is a prize-winning poet, critic, and editor. His latest book of poems, Star Struck, was recently published by UWA Publishing. His debut poetry collection, Blister Pack (2005) won the Mary Gilmore Award and was shortlisted for four other major national literary awards. His second full-length collection, Outside (2011), was shortlisted for the Queensland Literary Awards and was a finalist for the 2012 Melbourne Prize for Literature’s ‘Best Writing Award’. His work has appeared for ten out of the last eleven years in Black Inc’s annual anthology, The Best Australian Poems. His current research project is on poetry in extra-poetic contexts (fiction, film, media, including terrorism). He is the co-recipient of three Australian Research Council grants. He is an international expert in the field of Australian literature (especially Australian poetry and autobiography). McCooey is the deputy general editor of the prize-winning Macquarie PEN Anthology of Australian Literature (2009), published internationally as The Literature of Australia (2009), and he is the author of a critical study on Australian autobiography, Artful Histories, (1996/2009), which won a NSW Premier’s Literary Award. His essays, poems, and reviews have appeared in numerous books, journals, and newspapers. McCooey is also a musician and composer. His two albums, Outside Broadcast (2013) and The Double (2017), are available on Bandcamp, iTunes, Spotify and elsewhere.